Is everything larger in Texas? Everyone knows that Texans like to show off "big-ly" and they like to perpetuate the myth in a big way, too. 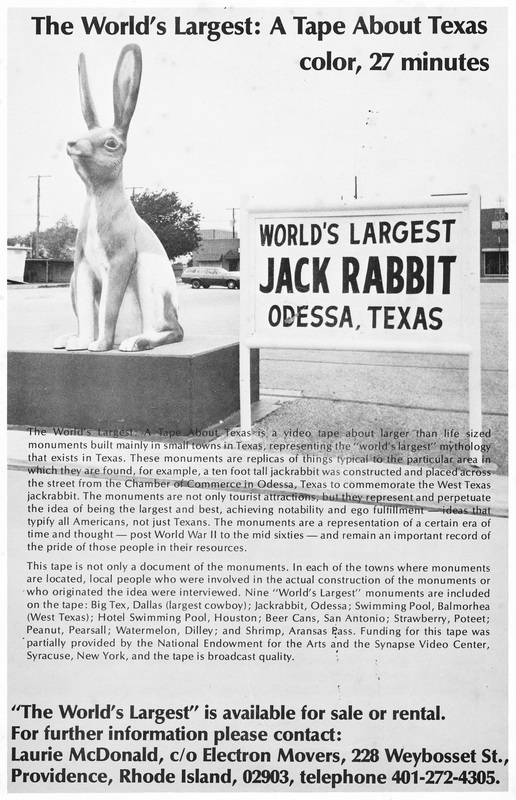 The World's Largest features larger-than-life-size monuments built primarily in small Texas towns, including: the World's Largest Jackrabbit, Peanut, Shrimp, and Beer Cans, among others. The old-timers who were instrumental in realizing the monuments appear in the video, helping illuminate the era in which the monuments were built, post-World War II to the mid-sixties. Today the remaining monuments are an important record, and a symbol of, the pride of people in their ​local resources and their distinctly Texan sense of humor. Broadcast on Houston, Texas, PBS, KUHT-TV, "The Territory" 1979. 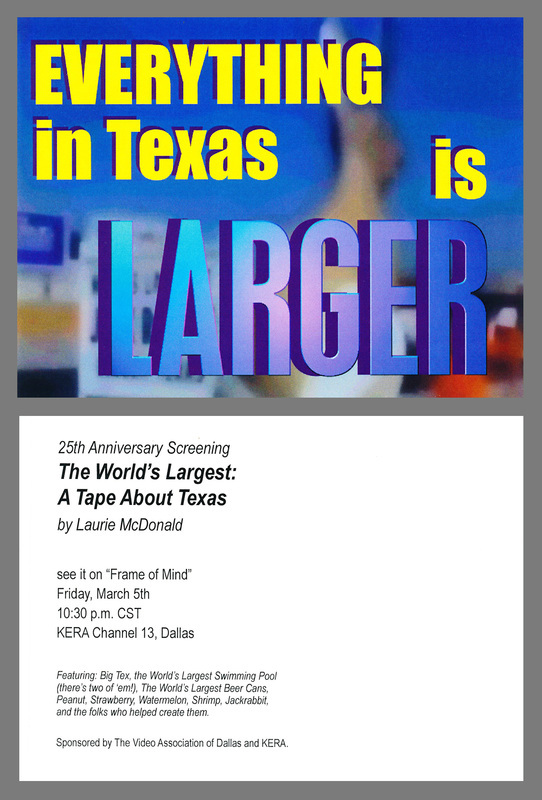 25th Anniversary broadcast on Dallas PBS, KERA, "Frame of Mind", 2004.